Toronto is a city of neighbourhoods. 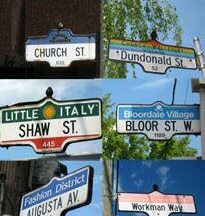 Some are defined by the cultural influences from the immigrants who first settled here, like ‘Little Italy’ near College and Bathurst or “Greektown” on the Danforth. Some are created from scratch by an influx of new development like you’ll find in Liberty Village which sprung into existence as quickly as the condos that sprouted in this King West area. But all of Toronto’s neighbourhoods are constantly evolving, and a perfect example of this can be found in The Junction, a once-defunct area near Dundas Street West and Keele where several rail lines cross each other (the reason why the area is named the ‘Junction’). The last few years have seen The Junction reinvent itself to become one of Toronto’s hippest ‘hoods, and it’s not just Torontonians that think so – the New York Times agrees, among others. Here, then, is a brief history and your guide to the Junction from someone who lives here, (Henk and I have been in the neighbourhood for 14 years) with suggestions for where to eat, drink and shop in this hopping, happening Toronto hot spot. The Junction may be one of Toronto’s coolest neighbourhoods today, but there was a time when this part of town wasn’t even considered Toronto proper; in the 19th century it was a railway town known as West Toronto Junction that functioned as a port of entry where goods brought by rail could be cleared instead of hauling them all the way to the city centre. With proximity to this railway network, the area became home to factories that produced everything from bricks to mattresses to pianos, attracting working class immigrants from across Europe. And it also became home to crime. Petty theft, drunk and disorderly patrons staggering out of bars on every corner, and finally a murder in the early 1900s prompted the residents to vote to make the Junction neighbourhood an alcohol-free zone. 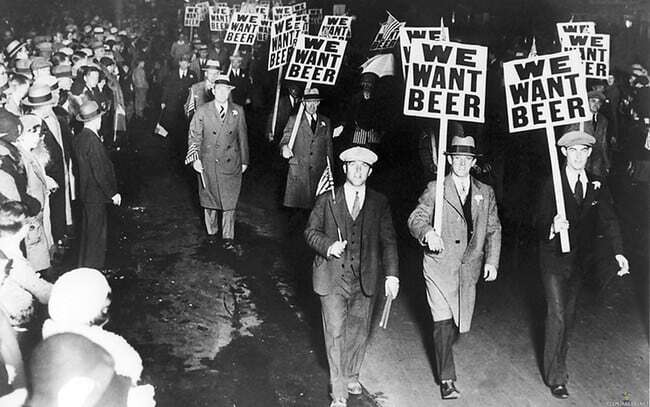 But unlike the Prohibition laws that were repealed elsewhere in the country, this local bylaw ruled here for decades: in fact, it wasn’t until the year 2000 that the alcohol ban in the Junction was lifted! 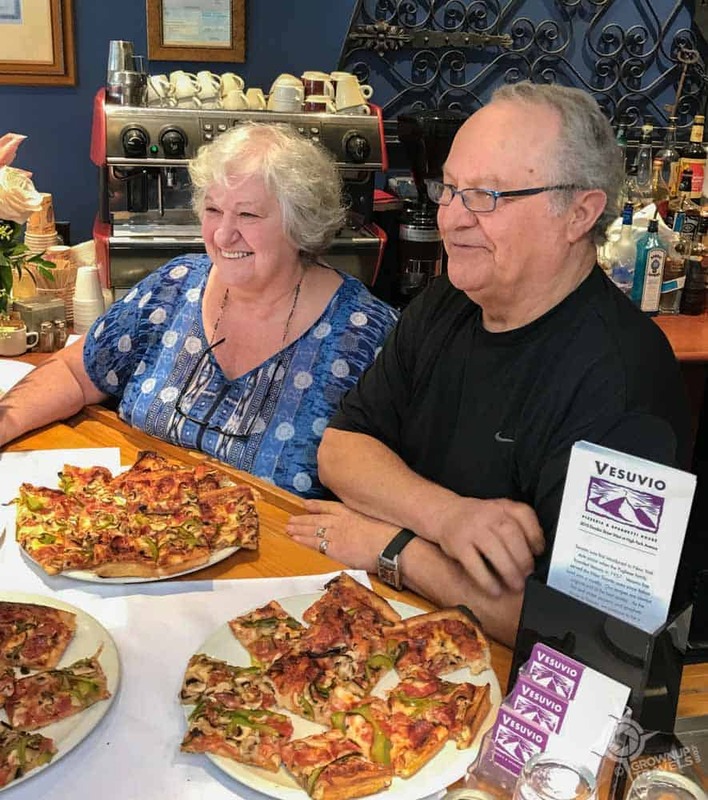 No one knows the kind of challenge an alcohol ban poses to a restaurant owner better than Ettore and Piera Pugliese, the husband and wife team behind Toronto’s first pizzeria, Vesuvio’s, which they opened here in 1957. For decades Ettore and Piera fought to change the Junction’s dry designation so that, in their own words, their customers could “enjoy red wine and beer with their pizza.”When the liquor by-law was finally revoked, their business and the whole neighbourhood got a new lease on life and the entire street began to see the benefits of this hard-fought battle. 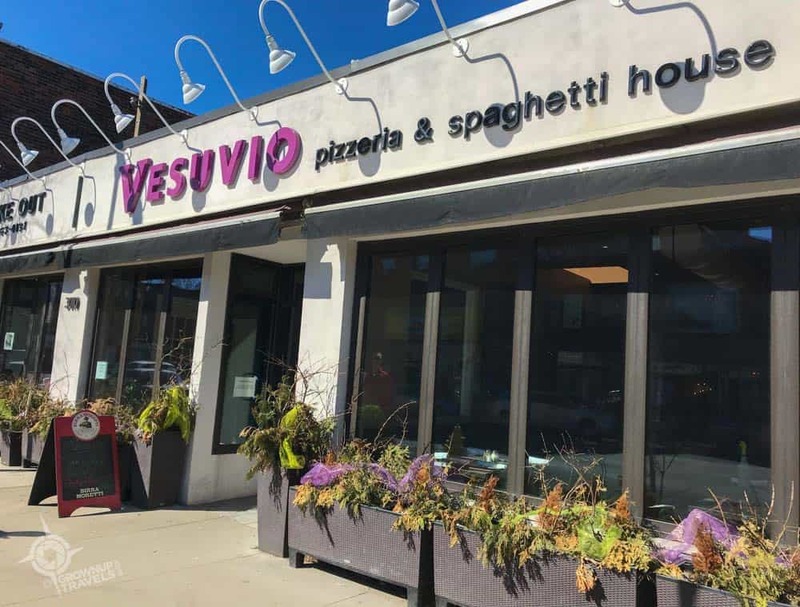 Today, Vesuvio’s still serves one of the area’s best pizzas and can finally offer its customers a delicious red wine or locally-crafted beer to go with it. And despite 100 year-old fears that this would lead to an ‘unruly’ crowd, the now-licensed restaurant is as family-friendly as it ever was. 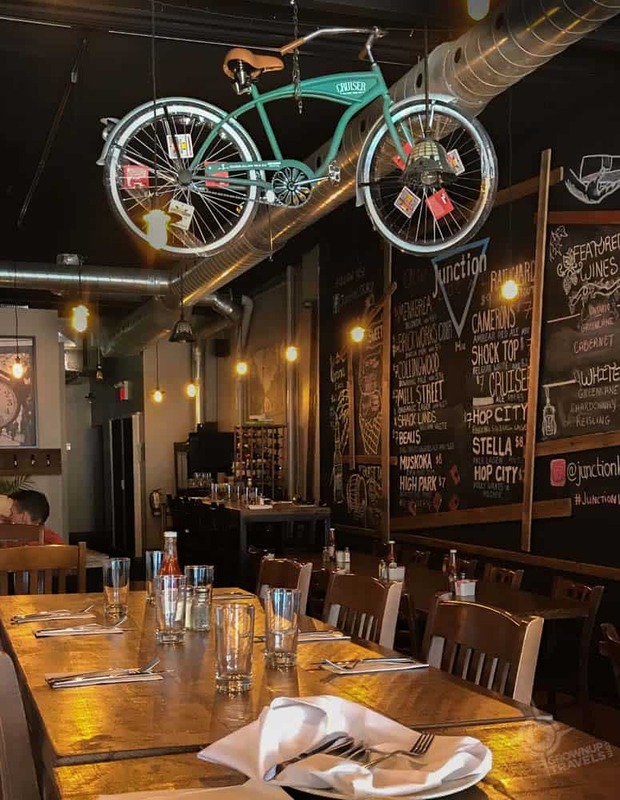 Of course there is much more than just pizza to eat in the Junction, but where and what you choose to eat is as varied as the residents and visitors who come here. There are several restaurants that have been here for years (Curry Twist is a favourite for Indian food, and Axis Bar & Grill boasts one of the few shady patios on the strip) but in recent years there has been an explosion of other noteworthy newcomers that offer something for every palate. 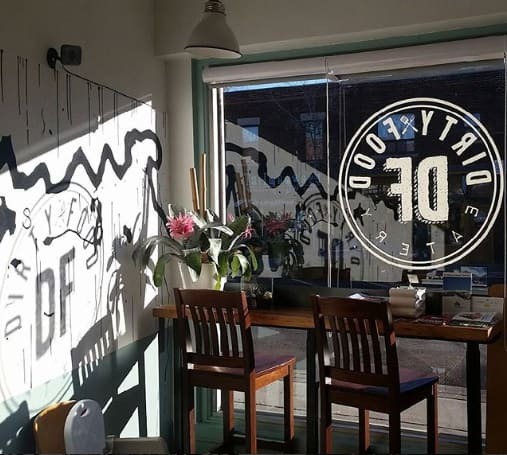 Toronto is definitely a ‘brunchy’ kind of town, so if you are a brunch enthusiast check out Dirty Food for its urban, minimalist decor, friendly vibe and southern-fusion take on breakfast comfort food where you’ll find ingredients like shrimp, grits and collard greens. Of special note are their potatoes, which they slice thinly and stack like lasagna for their unique version of home fries. House of Common is less than a year old but already becoming a popular favourite for the brunch crowd who lives here or those who ‘come from away’ to explore the area. 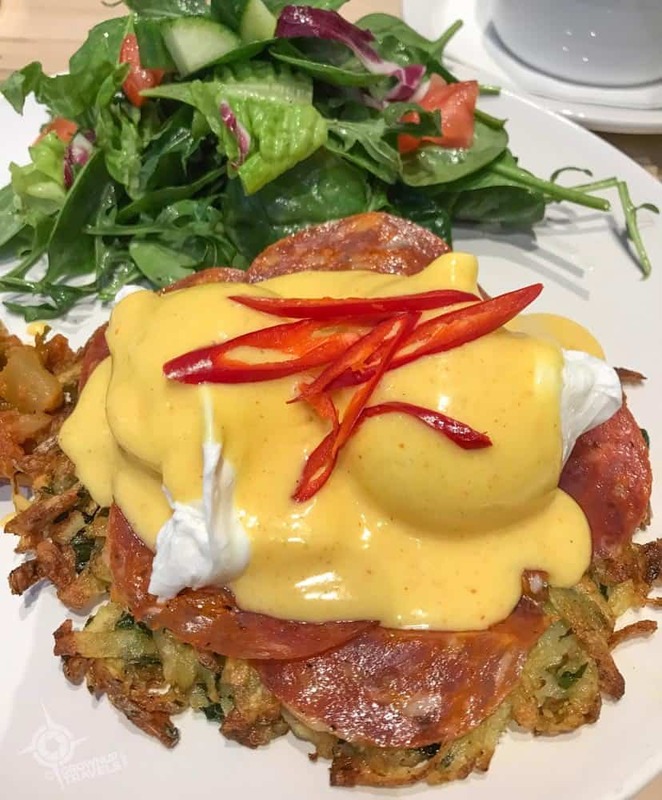 Communal tables and an open kitchen dominate this small space, making it ideal for groups and families, but the menu is definitely ‘adult’ with dishes that deliver heat as well as flavour (try their spicy salami Eggs Benedict on a bed of rosti potatoes). Their house-cured pickles and peppers add a kick to their Caesars, too. Before I even tasted their food I fell in love with the decor at Stadt, with their moroccan tile-inspired wall, cozy blue booths and exposed brick wall. 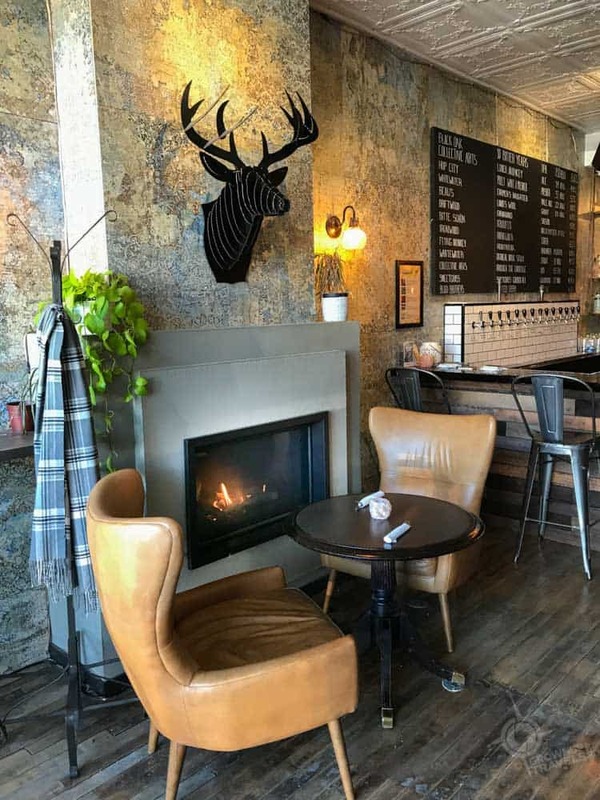 And in the last few months they’ve also added to the ambiance with a cool craft-beer tap wall that serves a score of local brews to go along with their locally-sourced eclectic menu. Whether you come for brunch, come for beer or come for dinner, this place is a great choice. 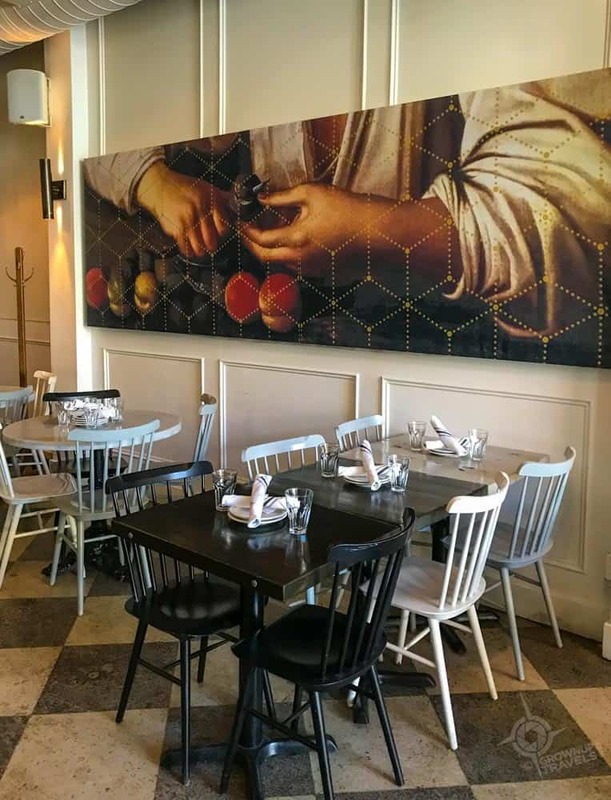 Details and quality matter at Cool Hand of a Girl, where everything is artisanal, organic and locally-sourced, and where you can enjoy some of the best-tasting egg dishes with a Mexican twist, courtesy of the chef owner who was raised in Mexico City. The cafe is small and the food isn’t the cheapest but you get what you pay for and you’ll definitely taste the difference. 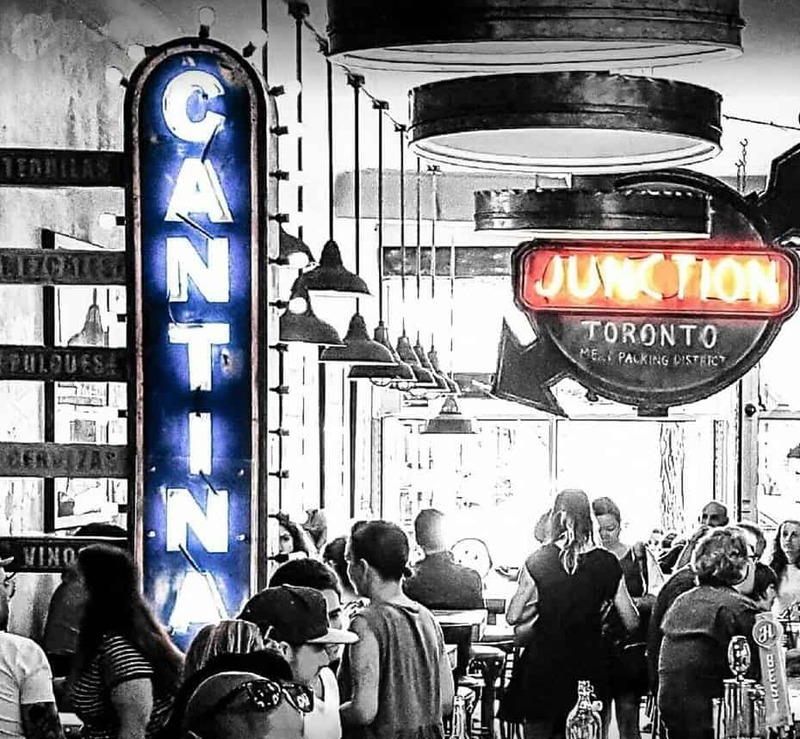 If you like Mexican, there are two terrific options in the Junction: Playa Cabana Cantina is one of 6 similar restaurants established in Toronto but don’t be dismayed by the number of locations, as they are about as far from a ‘chain’ as you could imagine. One thing that doesn’t change (unlike their decor which is different in each restaurant) is their mission: to serve authentic Mexican food using the freshest ingredients. Something is obviously working since it’s wise to make a reservation if you want to get in to this Junction location. For a more casual fast-food-ish vibe, head to Al Pastor, a colourful taqueria with picnic-table style decor and a side of Mexican wrestler kitsch. Al Pastor recently acquired their liquor licence so you can now enjoy margaritas with their delicious tacos. Perfect for lunch, dinner, or even a mid-afternoon snack. 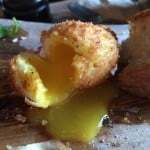 If Italian is what you are looking for, look no farther than Nodo, which consistently garners rave reviews from its guests, and for good reason. The food here is the real deal: authentic while still being creative and with the small touches that make it feel like you are in an Italian home (like lupini beans as table nibbles). It’s pretty in here, too. Yes, to cinnamon buns all year, I say, and if you feel the same way, check out some of the city’s best ones absolutely blanketed in icing at Sweet Trolley Bakery, the kind of little homegrown bakery that is as unpretentious and outgoing as its window displays and where the enthusiastic staff seem genuinely thrilled to share their latest sweet treats with you. 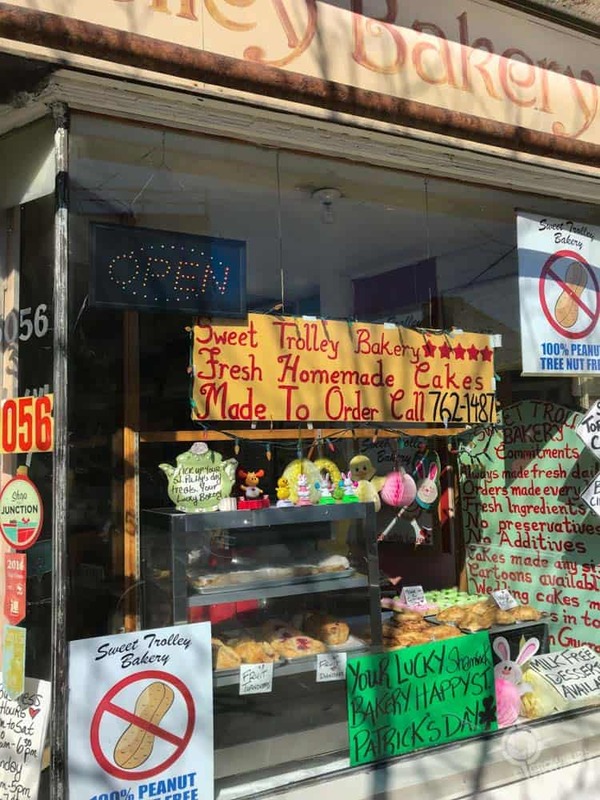 And for those who are vegan or gluten-free and looking for baked goods that don’t taste vegan or gluten-free, right next door you’ll find a Toronto favourite, Bunners, which opened their second location here years ago. To get your caffeine hit, yes there’s a Starbucks in the Junction, but why not go local with La Crema cafe and support a Toronto favourite. 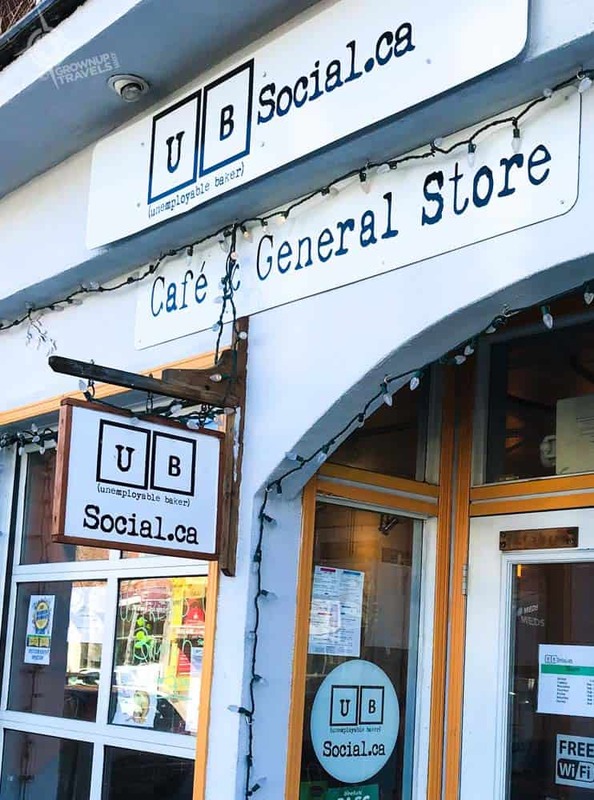 Or enjoy the sense of humour that comes with your espresso at UB Social (the “UB” stands for ‘Unemployable Baker’ which despite the name has actually won the equivalent of an Oscar for the artisanal products made by the Italian owners.) With award-winning sauces, rubs and chutneys it’s no surprise the cafe followed, and that they are now serving brunch here as well. Hurray! Now that Prohibition has finally ended in the Junction, there are some pretty interesting choices where you can go to enjoy a libation or two: for pure cocktail culture, my favourite place is Famous Last Words, an intimate book-themed lounge whose bar is made from 11,000 epoxied Scrabble pieces and where classic cocktails are named after classic book titles. 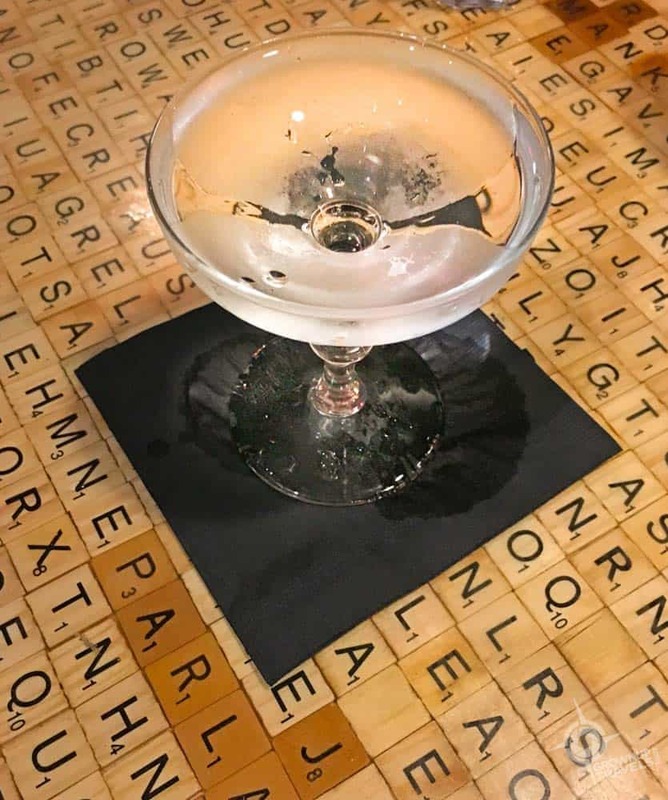 Everything here is made the old-fashioned way, including the Old Fashioneds, and the martinis are served however you like them: straight up, with a twist, dirty, with an olive, or best of all, with great conversation. For beer, it doesn’t get more local than at 3030 Dundas West which features products on tap from 9 local craft breweries (as well as a few wines and cocktails of course). But the real draw here is not just the craft brews or the delicious tapas-style appetizer plates or their full-size menu…this resto-bar is also a great venue for live music on their stage at the back where host also host events like trivia nights, paint nights, movie nights and more. So if you’d like drinks, food music and a local vibe, this is your place. 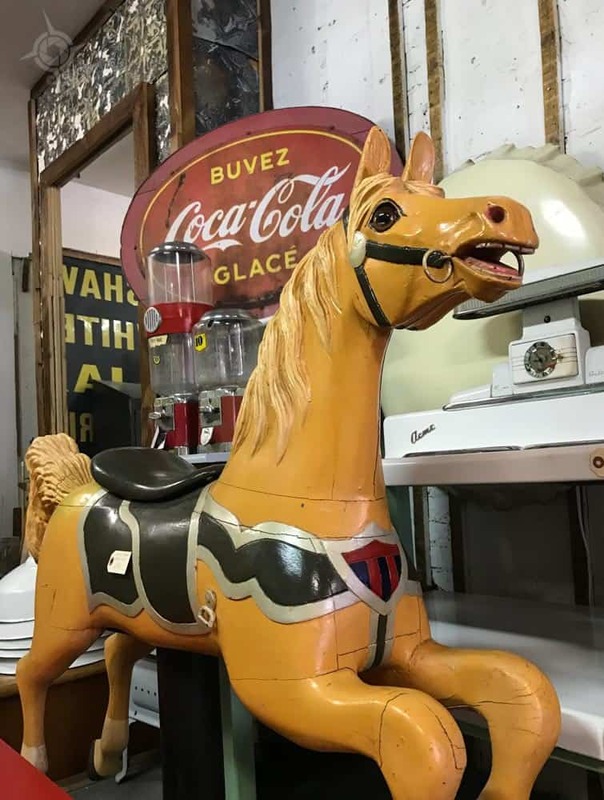 The Junction was once the home of furniture factories, and that legacy continues today, with a wide selection of stores that sell everything you might want to furnish any interior, whatever your taste. 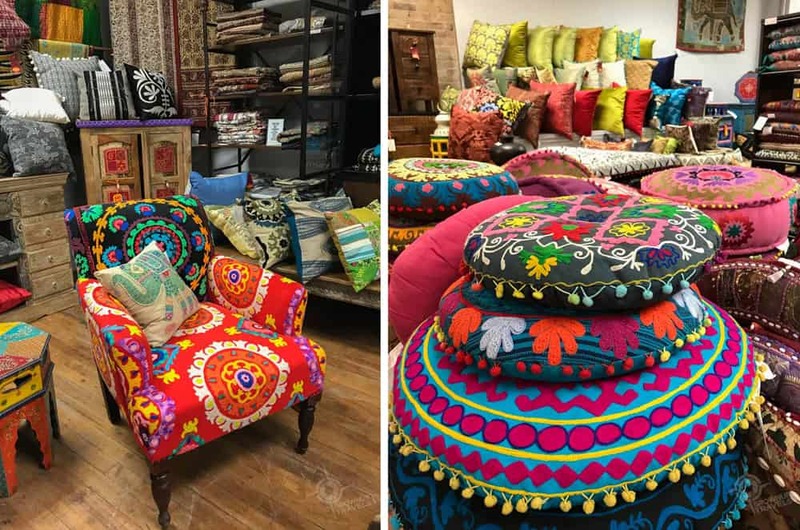 For the eclectic bohemian, a visual feast for the eyes awaits at Haveli Home, a large space that comes packed full of brightly-coloured South Asian textiles and exotic wood pieces. The minimalist looking to wrap themselves in the Scandinavian hygge aesthetic should head to Mjolk where the store itself is as artfully designed as the furniture and objects within. 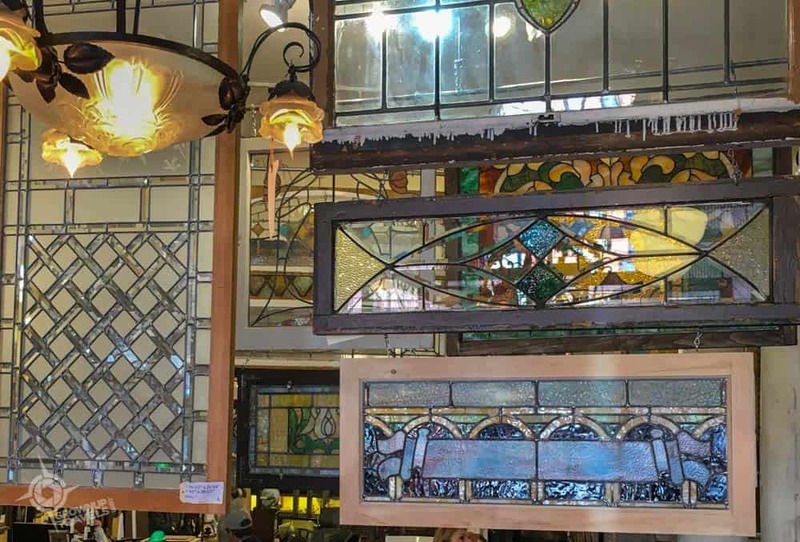 And for those who love architectural salvaged goods, cool objets d’art, funky retro pieces or antiques, go crazy at Smash, Post & Beam and the Art of Demolition. 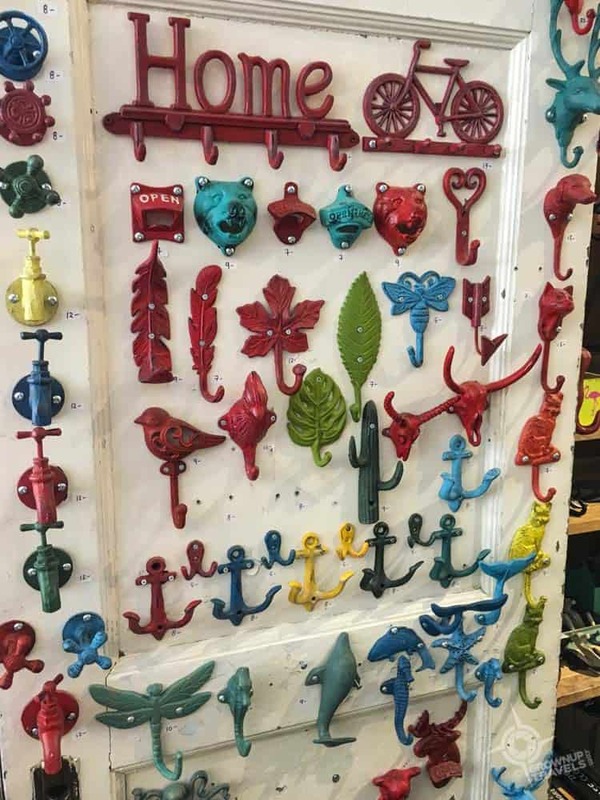 For furniture both old and new, Cornerstone celebrates 25 years in the Junction this year, with a well-curated assortment of brand new furniture brands as well as old pieces, imported exotic items and quirky accessories. Don’t miss visiting their bargain basement that offers plenty of deals, too. Fashion-wise, the Junction may not be a match for Toronto’s boutique-heavy Queen Street West, but the stores that are here are good ones. 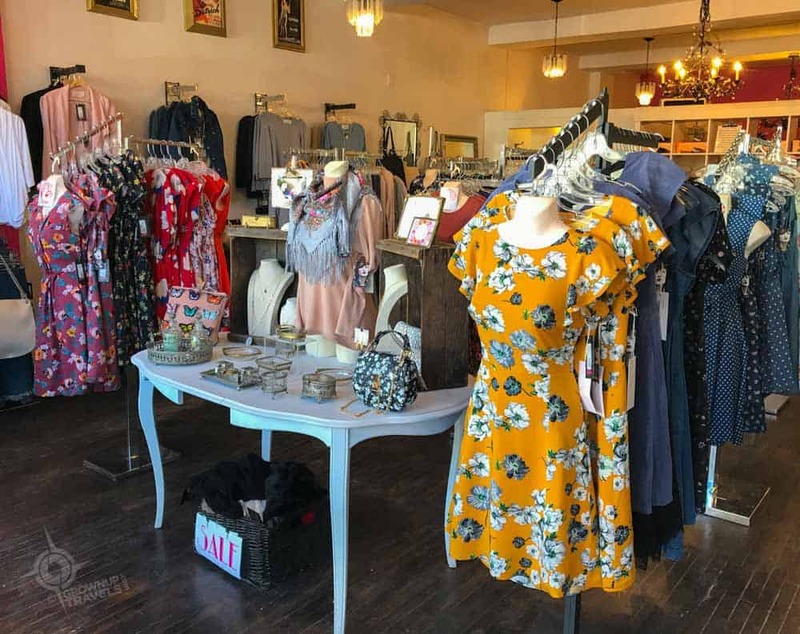 Black Daffodil and Coal MIner’s Daughter should satisfy the fashion maven’s desire for different, and Hush Osafo recently moved here from its former Queen Street location to cater to both men and women who love expertly tailored clothing. Fashionistos can shop at Gerhard Supply for mens designer clothing, or Red Canoe for a casual look. The good news is that it seems like every month or so, a new clothing store is opening here, (Trove women’s fashion store is coming soon) and it looks like the Junction will soon be balancing its furniture stores with more clothing retail as well. The Junction was once a vibrant arts district back in the 1930s, and thankfully there is still a very active artistic community here today whose mission it is to keep this aspect of the neighbourhood alive and not see it disappear as a result of too much gentrification. After all, it is always the artists who come to these emerging neighbourhoods first and the rest of the world who follows. 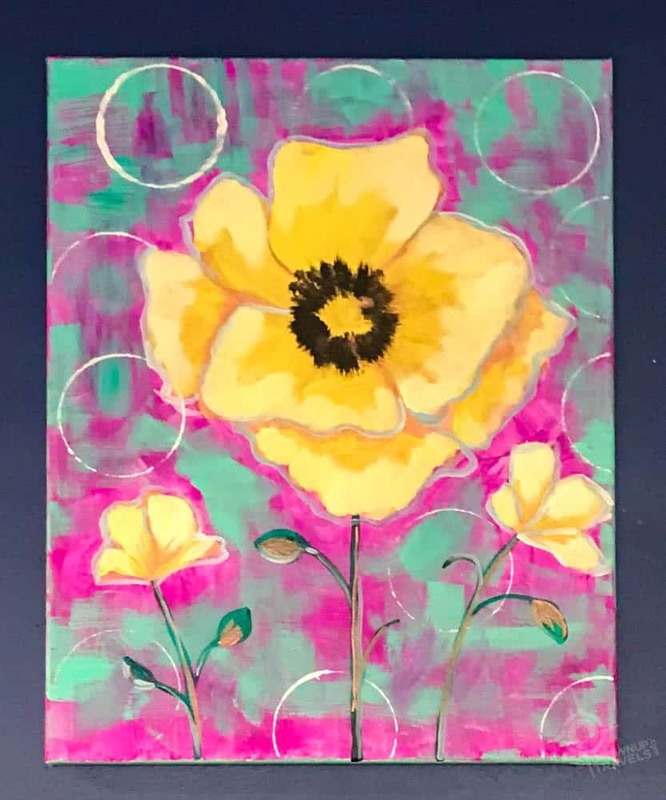 Not just a custom framing shop, Latitude 44 Gallery features local Canadian artists who work in a variety of media, and whose work is displayed for sale in the store. 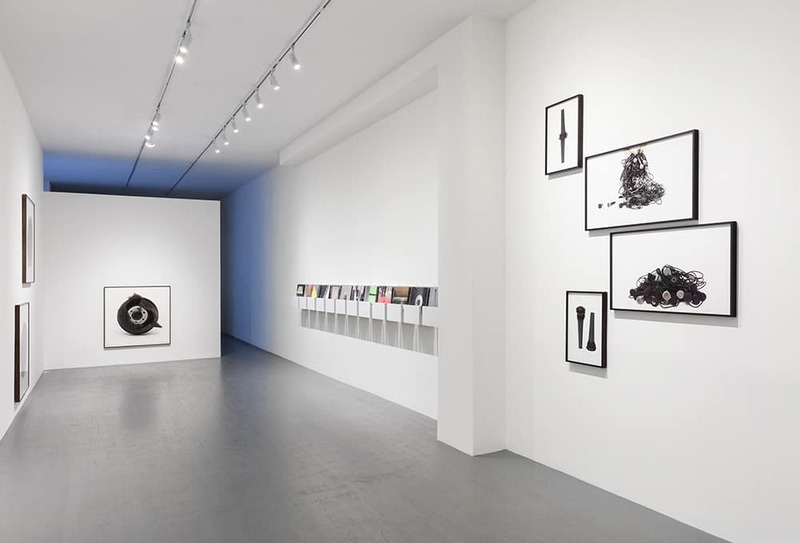 Then there’s Zalucky Contemporary gallery, a new addition to the street which hosts ongoing exhibitions by modern artists. And just a short distance away from Dundas Street in the adjacent Junction Triangle neighbourhood, Toronto’s Museum of Contemporary Art will be opening in May 2018, which is sure to draw even more visitors to the area. The Junction also takes part in the annual Scotiabank Contact Photography festival, the largest photography event in the world where many of the local businesses showcase exhibitors’ works as part of the Festival’s Open Exhibitions that encourage neighbourhood involvement. TIP: The Scotiabank Contact Photography Festival will launch April 27, 2018. And finally, if you happen to plan your visit to the Junction for the end of June, definitely check out The Junction’s Summer Solstice Street festival. Street performers, rides, musicians, art installations and curbside dining take over the street from noon until midnight, drawing thousands of people to celebrate on the street and kick off the official start of summer in the city. It’s always a sign of a healthy city when neighbourhoods not only survive, but thrive, and the Junction is just one example of how Toronto is growing and evolving as a city. 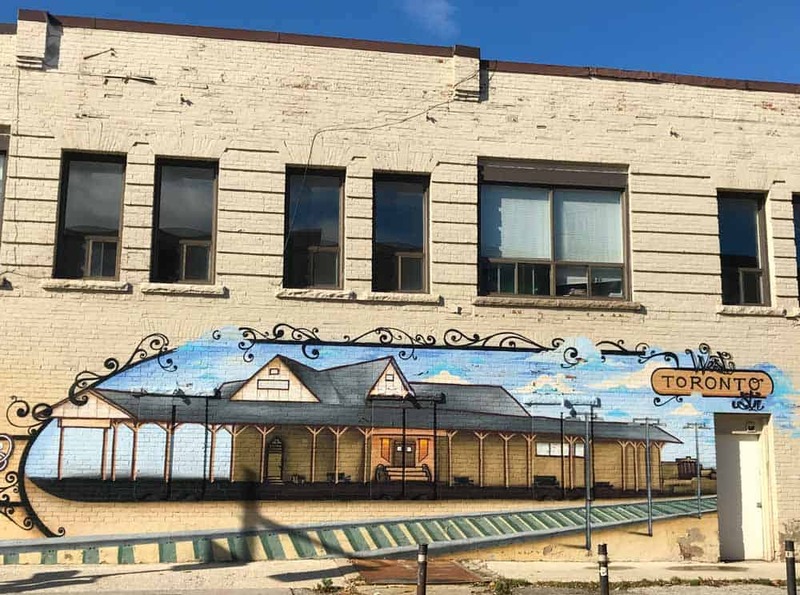 From its dark and lonely days as a near-abandoned stretch of empty storefronts, this Dundas Street West locale has turned its fortunes around to become one of the city’s most interesting cultural destinations for locals and visitors alike. I think it’s safe to say that this neighbourhood has officially ’emerged’. 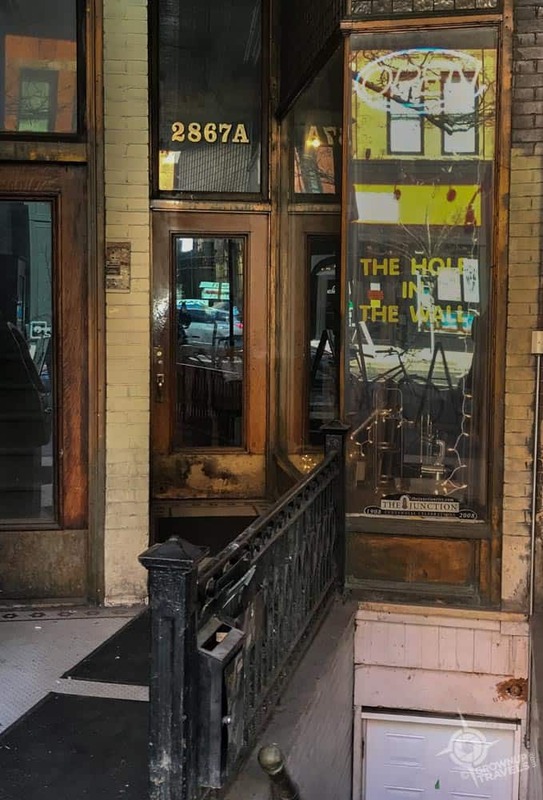 TIP: The bars, stores and cafes mentioned in this article are located on the stretch on Dundas Street West starting 2 blocks east of Keele and running west to Clendenan Avenue. Keele and Dundas Street West is the major intersection. Pinned! What a nice history and recap of current spots in Toronto’s Junction neighborhood. Thanks Kristin – I’ve been discovering a lot about my own city of late! 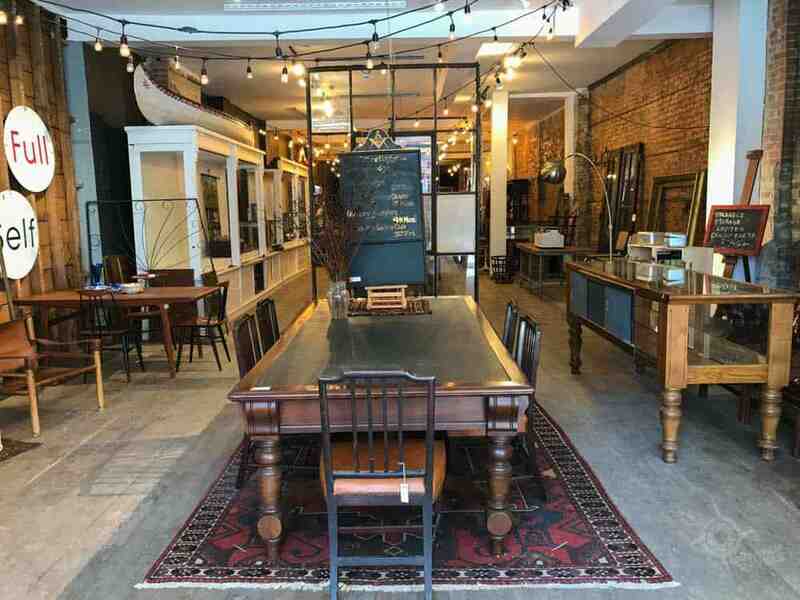 The Junction neighborhood in Toronto certainly does have a lot to offer! The atmosphere along with excellent dining and shopping opportunities makes a great combination of things to experience! 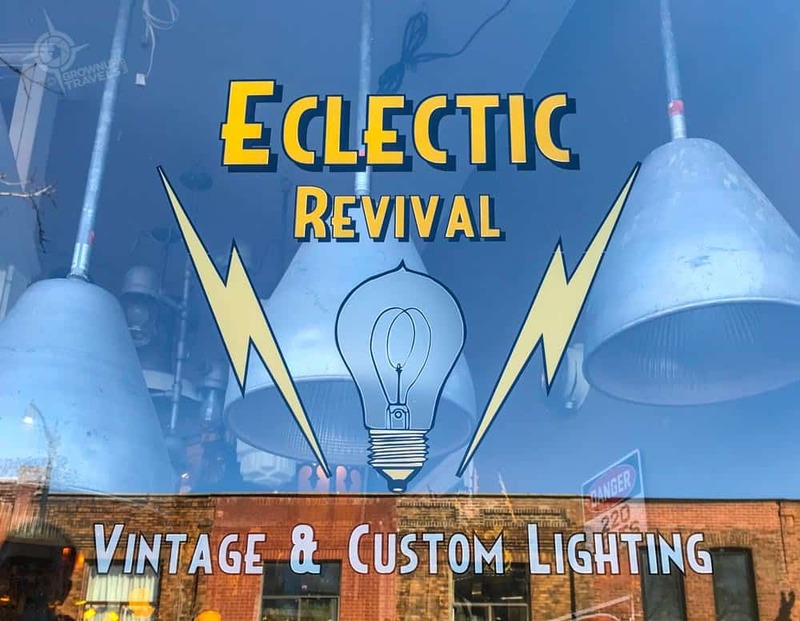 With a blend of old and new, the Junction looks like a great place to visit! 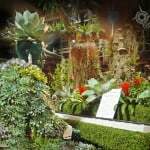 Thanks for sharing the wonderful photos. 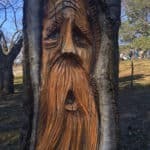 Jane, great article – makes me feel like I’ve actually been there. Wait, I have had the pleasure of being there with the pleasure of Henk’s and your’s company! Can’t wait to do more exploring in the Junction next time we come for a visit. I hadn’t heard of the Junction neighborhood, but then, Toronto has a LOT of neighborhoods! 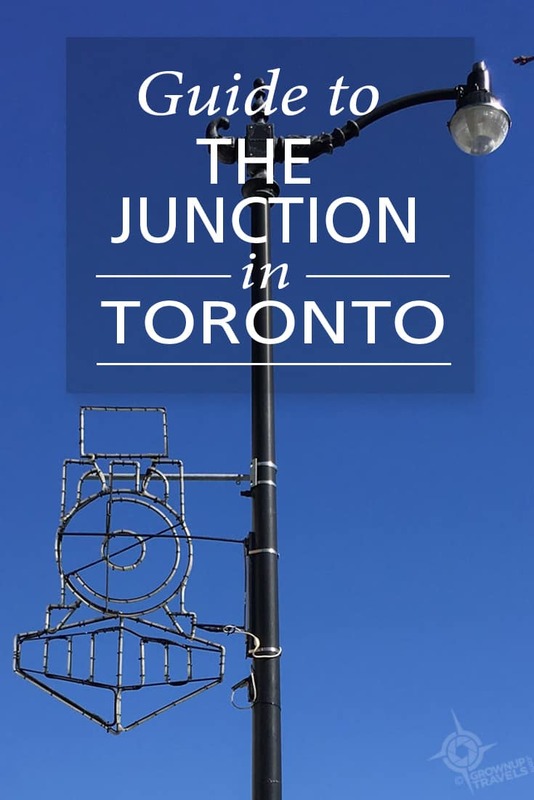 The Junction looks like a lot of fun — we’ll be sure to check it out the next time we are in Toronto. It’s true Cindy, Toronto is all about neighbourhoods and I’m thrilled we are living in one that is growing and evolving every day. Keeps it interesting just to go for a walk! Hi Jane. I love Toronto for all its neighbourhoods. I admit that I’ve not previously heard of The Junction. Am hoping to get there in June for a writers conference (and again in September) and will most certainly check it out during one of my visits. I hope you do come Doreen, since the Junction is one of the city’s hotspots right now. And maybe we could meet for a drink, too! 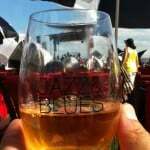 We were in Toronto to visit a friend and they took us to the Gaslight District and the Jazz Festival at the Beach. Toronto vibe is indeed a good one and your hood seems to be so full of excitement and color. I wanted my daughter to choose to migrate there. Instead she chose Melbourne! I think your daughter probably made a good choice, as Melbourne and Toronto usually end up on the same ‘most liveable cities’ lists! Neighbourhoods like ours is one reason, in my opinion, because it really does give the city so much character. So many of my awesome online friends live in Toronto and I see so many wonderful articles like this. Dang it, I think I should visit. Actually, I drove through in one day many years ago, just to do a ballpark tour, visit the hockey HOF, and have a drink at Finn McCools. On the drive out, I did notice so many of the ethnic neighborhoods, which I thought (and think) are so cool. I will visit! Well, if you ever do come to Toronto, Charles, make sure to let me know and we can maybe even say hello IRL!